Size 6/7 fits 300mm square modular size. Size 9/12 fits 450mm square modular size. Opposed blade dampers are used to regulate air flow through all Vent-Axia grilles and diffusers. Key operated. This action ensures that the downstream airflow is non-directional when the damper is in the partially closed position. 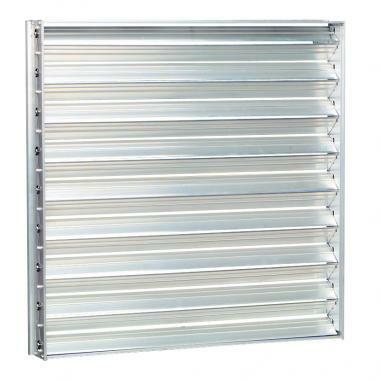 Opposed blade dampers have aluminium blades and the frame is left in natural mill finish. Can be used in conjunction with Eggcrate, Single deflection and Double deflection grilles.